Eagle County is a resort area home to Vail and Beaver Creek ski resorts, but the majority of the county is represented in Congress by Scott Tipton from rural Cortez. 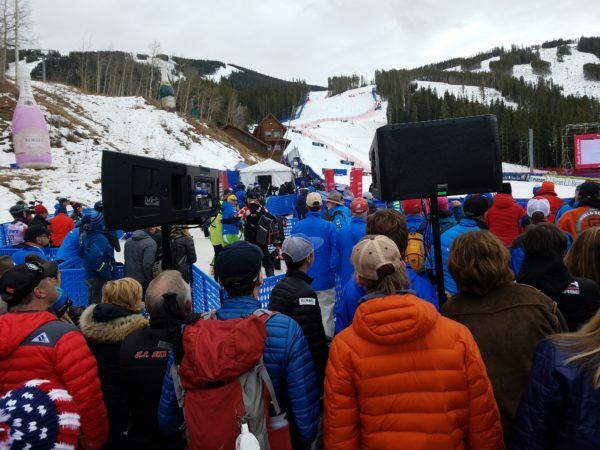 Eagle County, Colo., is a rural, mountain resort area with a population of about 53,000 people, but it has two representatives in Congress because of a split boundary, and those two congressmen — U.S. Rep. Scott Tipton and U.S. Rep. Jared Polis — could not be anymore ideologically opposed. 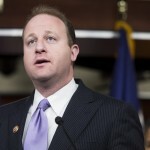 Polis is a Boulder Democrat who recently voted against a motion to table an impeachment resolution aimed at Republican President Donald Trump. Polis is also seeking the Democratic nomination to run for governor in 2018, leaving his mostly Front Range (with some mountain areas thrown in) 2nd Congressional District up for grabs next year. But look for a Democrat to prevail in district that contains the state’s two largest university towns — Fort Collins and Boulder. Tipton, on the other hand, is a Cortez businessman who knocked off moderate Democratic rancher John Salazar in the 2010 anti-Obama Tea Party wave. 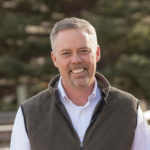 He is supported largely by energy and banking interests, a fact that plays well in the predominantly Republican 3rd Congressional District, which includes most of the state’s vast Western Slope, as well as an area of southern Colorado surrounding the working-class industrial city of Pueblo. The second largest city in CD3 is dead-red Grand Junction, nearly on the Utah border. Tipton has taken out his last three Democratic challengers by 12, 20 and 14 percentage points, but Dems are emboldened in 2018 by what they feel will be an anti-Trump wave and Tipton’s votes in favor of very unpopular legislation such as the House Obamacare repeal and replace bill that never passed the Senate, and a tax reform bill still being weighed in conference committee. There have been recent developments in the Democratic primary race to challenge Tipton next year. 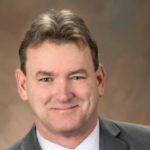 Grand Junction City Councilor Chris Kennedy, a former U.S. Marine and telecom worker, dropped out of the race on Wednesday, citing the health issues of his mother. That leave Glenwood Springs municipal and water attorney Karl Hanlon, a Carbondale rancher who just jumped into the race last week, and former state Rep. Diane Mitsch Bush, a former Routt County commissioner from Steamboat Springs. “Today I announced my withdrawal from the race for CD3. Family health issues that will require my time and attention over the next days and months make this necessary at this time. To all those who have supported me during this process I am humbled by your generosity and selflessness and friendship. I could not in good conscious continue this campaign knowing that I would not be able to devote 100% of my time and energy over the days and months ahead. 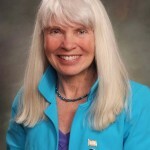 Mitsch Bush, who jumped into the race last spring and recently resigned her state house seat that included Eagle County, offered her best wishes to Kennedy. Mitsch Bush also said she’s reached out to Hanlon to wish him well in the primary race. Hanlon, too, had good thoughts for Kennedy. He added he thinks it will be a tough but fair primary taking on Mitsch Bush. Tipton’s last three Democratic challengers, including former state Sen. Gail Schwartz of Crested Butte, have tried to portray Tipton as out of touch with his diverse district. But both Mitsch Bush and Hanlon think Tipton is vulnerable after voting in favor of healthcare and tax reform. “R leaders tax giveaway to wealthiest creates deficit. Then pay 4 by cutting Medicaid, Medicare & Social Security. 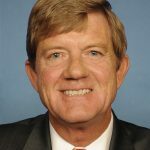 @RepTipton : vote no!” Mitsch Bush tweeted Thursday as the House works to conference and pass a new tax bill that conforms to the recently passed – and very different — Senate version. She was referring to Speaker Paul Ryan’s call for entitlement reform in 2018. Hanlon blasted the House tax bill on two key points for CD3. “If you look at the House version of the bill, it eliminated the renewable energy credit, which has a direct negative impact on Pueblo [for wind energy manufacturing],” Hanlon said. “His votes on that same tax plan really have a negative impact on agriculture, eliminating carried back losses, making it easy to deduct an old tractor but not a new one. Tipton campaign manager Michael Fortney didn’t want to weigh in just yet on the Democrats lining up to challenge Tipton, or their specific barbs about the congressman’s record. “We officially decline to comment and were nonplussed by all of these developments,” Fortney told Rocky Mountain Post. Tipton carefully avoided discussing Trump during last year’s campaign, but may not be able to avoid the president’s record in 2018, having steadfastly backed the White House agenda in Congress, analysts say. Polis, meanwhile, who some observers say may be too liberal to win a statewide election for governor, is all in on attacking the president’s record. Polis voted to start impeachment proceedings against President Donald Trump on Wednesday, opposing a motion to table an impeachment resolution introduced by Rep. Al Green, D-Texas. The resolution to begin impeachment proceedings was tabled on a 365-58 vote, with Polis voting against it and therefore seeking to move forward with the impeachment of Trump. “There are serious accusations against President Trump of obstruction of justice and collusion with a foreign government, and I find these accusations credible,” Polis said in a release. Polis points to the ongoing investigation of Russian interference in the 2016 election by special counsel Robert Mueller as his primary reason for voting to move forward with impeachment. Thus far, two members of the Trump campaign have been charged in the investigation and two others have pled guilty as a broader conspiracy begins to take shape. Democratic leadership want Mueller’s investigation to continue, while simultaneous probes in both chambers of Congress also move forward.